Toronto rapper Drake appears to be behind plans to build an imposing 21,000-square-foot mansion in the city's Bridle Path area, and is applying for exemptions to zoning bylaws to construct a dream home complete with a basketball court and a pool in the basement and a covered terrace for a hot tub on the roof. The plans, on file with the city, include a 44-foot-by-94-foot basketball court, along with a gym, a pool and a hot tub in front of a large TV projection screen, a bar flanked by special chambers labelled "chilled champagne" and "chilled wine," a music and screening room, and a spa and tub retreat with a massage room. There are also rooms set aside for "important artifacts‎" and a jersey museum, not far from his linen closet. And that's just in the basement. The two-acre property on Park Lane Circle, where a smaller home now standing is to be torn down, was purchased by a numbered Nova Scotia based company for $6.7-million last September. Want to learn how Drake's new neighbourhood compares to others in Toronto? Check our house-price data centre to find out. A publicist for Drake declined to comment. The numbered company's president is listed as Adel Nur, which is the given name of Future the Prince, who has served as Drake's DJ and manager. As a director and secretary, the company names Larry S. Tyler, who works at a Los Angeles accounting and business management firm, Nigro Karlin Segal Feldstein & Bolno, linked to Drake. 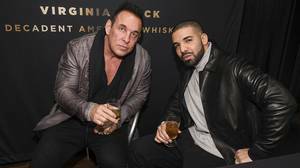 David Bolno, a partner at the firm, has acted as Drake's business manager. The rapper thanked him in the liner notes for his 2011 Take Care album for "pulling my life together for me and putting me in a position where I can now begin to build my empire." Mr. Nur, Mr. Tyler and Mr. Bolno could not be reached. The designer's name on the extravagant plans is Ferris Rafauli, whose architectural firm is based in Oakville, Ont., and who also built Drake's exclusive party space inside the Air Canada Centre, in which the rapper and his entourage can lounge in an even more exclusive interior "champagne room" wrapped in champagne bottles. Ferris Rafauli is the Toronto-based designer behind the members-only Sher Club at the Air Canada Centre. In an interview with The Globe earlier this year about the ACC club, Mr. Rafauli said he and Drake "clicked" after being introduced socially: "I guess you could say we bonded over our love for the finer things." Mr. Rafauli could not be reached. The main floor of Mr. Rafauli's plans for the Park Lane Circle house features a grand foyer flanked by powder rooms, a two-storey great room, a library, a dining room, a piano room, a room marked "awards" and a security suite, just off the mudroom. Upstairs, there is a grand master bedroom, with its own steam shower and two dressing rooms. There are also four other bedrooms, all with their own bathrooms, as well as a rooftop terrace with a hot tub. The exterior drawings look palatial, with French design touches that give it a hint of Versailles. But the plans are offside with the city's zoning bylaws, and the builders must take them before the North York committee of adjustment, at a meeting scheduled for May 26, where they will seek a number of minor variances. 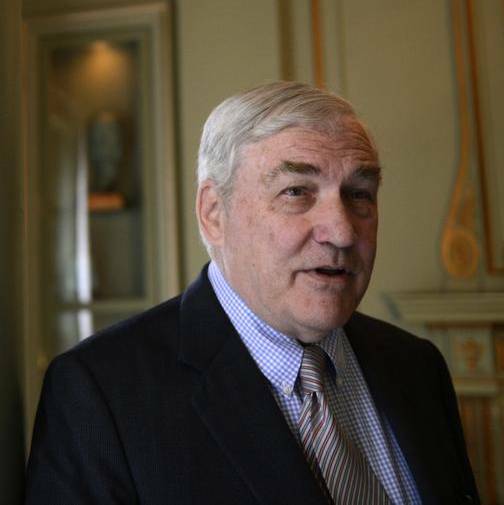 It is not known if the committee will hear objections from any of the neighbours, a group that includes former newspaper baron Conrad Black and singer-songwriter Gordon Lightfoot. Also nearby are packaging business titan Navin Chandaria and, right next door, real estate mogul Milton Winberg. In an e-mail, Mr. Black did not voice any objections: "I haven't been very vigilant, but in general and within reason, I think people should build any home they want on their properties." The city takes exception to a number of the design's features. The plans for a grand 34-metre-wide driveway, for example, exceed the maximum width allowed, which is 9 metres. The proposed house is also nearly 17-metres high, taller than the 11 metres now permitted on the site. The first floor is also just a few centimetres too high, and there are too many large platforms at above the second-storey level, according to a city zoning review. Plans drawn up by arborists and filed with the city also call for the cutting down of as many as 30 trees to make way for the construction. Some are listed as dead or diseased, and the report says efforts will be made to preserve others among the nearly 100 trees listed on the site. The 29-year-old rapper, born Aubrey Drake Graham, has become a global hip-hop star with a net worth that Forbes Magazine estimates at $60-million. He also owns another mansion, which he reportedly bought for nearly $8-million in 2012, in Hidden Hills, Calif. 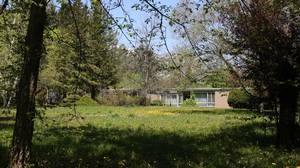 In a Rolling Stone profile in 2014, the magazine said the star was also planning to build a large home with a large pool on Toronto's "outskirts." He was raised by his mother, living in the bottom of a rented townhouse in Forest Hill. He began his show-business career as a Canadian child TV star on the program Degrassi: The Next Generation in 2001, but transformed himself into a rap superstar and pop-culture phenomenon, winning Grammys and serving as the "global ambassador" for the National Basketball Association's Toronto Raptors, where he can often be seen courtside. 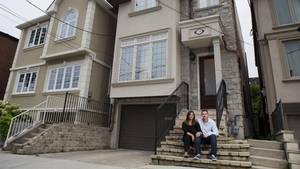 A $1-million home is not the luxury it used to be in Toronto A major real estate firm plans to reclassify what constitutes luxury, saying that the current standard – $1-million or above – no longer makes sense in cities where detached homes routinely sell for more, Brent Jang reports. Has Drake finally made Toronto cool? It’s starting to look like Toronto’s history will one day be separated into two distinct eras: Before Drake (BD) and After Drake (AD), Mia Pearson writes.